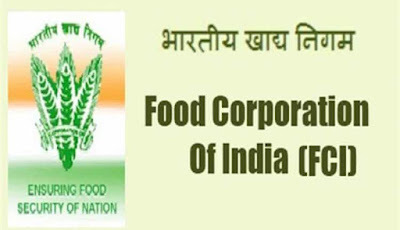 Food Corporation of India has released the notification for the FCI Recruitment 2019. As per the details of notification, corporation intends to hire four thousand one hundred and three (4103) eligible individuals for the vacant posts of Junior Engineer (Je) (Civil Engineering / Electrical Mechanical Engineering), Assistant Grade 2, 3 and others. In order to appoint suitable individual aspirants online application form has been called form the eligible Indian individuals. Junior Engineer (Je) (Civil Engineering / Electrical Mechanical Engineering), Assistant Grade-Ii (Ag II) (Hindi), Steno Grade-II, Typist (Hindi) And Assistant Grade-III (Ag III) (General /Accounts / Technical / Depot). Applications must complete their graduation in concern filed as per the post requirement. After going to the home page you are required to hit on “Recruitment” link form the bottom menu bar of the home page. On the next page, you have to select an appropriate link for the FCI Recruitment 2019 notification. A PDF file of the notification details will appear at your screen, read the information carefully. If you are eligible then hit an appropriate link to apply online. Fill the application form and provide all the required details. Finally, submit the form and take a print out of the receipt of submitted application form for future use.